Rapid Application Development (RAD) or low-code development is a dynamic approach to creating applications that minimizes hand-coding to increase developer productivity. At first, low-code technology grew out of the needs of citizen developers with little coding knowledge to create basic applications using intuitive "out of the box" features - but over time, the technology has matured drastically to suit the nuanced and complex needs of IT professionals. 1. Increased usage - Low-code technology enables a higher degree of nuanced coding intermixed with intuitive visual development, allowing developers to efficiently create high-quality and specific enterprise-grade applications. As more and more enterprise IT teams recognize the ways in which this type of development process can free up internal resource constraints, low-code technology will become the de-facto productivity platform for professional developers. 2. Enhanced enterprise-grade applications - In 2019, professional developers will continue to push the boundaries of RAD as they bring best practices and relevant app development, deployment, and DevOps experience into every stage of the enterprise application development lifecycle. These enhancements will undoubtedly span a range of capabilities, including cloud deployment, real-time integration, and increased developer collaboration across and within teams. 3. Central hub for app development via integrations - With increasing API adoption and service consumption, low-code platforms will become even more of a central hub for application development. The current model of enabling streamlined integrations to external services will open the door to an even wider range of use cases - including RPA, BPM, SaaS IoT, AI, and analytics integrations. 4. Emphasized digital experiences - The customer/user experience will only grow more important as enterprises go head-to-head in a progressively competitive digital environment. As a result, RAD technology will increasingly cater toward building highly user-centric digital experiences with clear customer touchpoints where feedback can be provided quickly and easily from any device, channel, or location. 5. Longer-lived applications - The flexibility of low-code technology will contribute to a future in which most mainstream business applications are built to be long-lived and capable of adjusting and scaling alongside changing business objectives. Previously, factors like cumbersome integration approaches would result in the creation of "locked in" applications incapable of change over time - which is both inefficient and costly. There's no question that low-code technology will continue to be a high-impact tool for CIOs and developers looking to tackle big enterprise IT projects more efficiently and flexibly in 2019 - and beyond. Vijay has long been at the forefront of harnessing emerging technologies, from web infrastructure and cloud to social media and mobile, making him a highly respected serial entrepreneur with a successful two-decade track record. 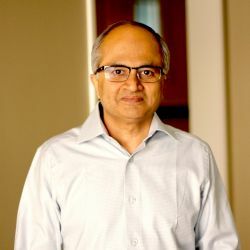 As co-founder of Pramati Technologies, a leading software product company and technology investor, Vijay was privileged to help accelerate India's technology revolution in the 1990s, working to develop the IT industry's first independently developed application server compatible with the Java 2 Platform - and bringing it to market before Oracle, IBM, and BEA. Since then, Pramati has incubated and spun-off multiple businesses, including WaveMaker, a low-code Rapid Application Development software platform revolutionizing how enterprises develop, deliver, and modernize applications. WaveMaker leverages the latest trends and technologies in low-code, such as multi-device auto-responsive interfaces and componentized app assembly, Docker for app-optimized container deployment on private infrastructures, and APIs and Microservices Architecture (MSA), for scalable integration. As CEO of WaveMaker, Vijay seeks to give enterprises the tools needed to improve business agility, foster innovation, efficiently execute on digital transformations, and remain competitive in their industries. Vijay thrives on mentoring other entrepreneurs, and co-developed the innovative, autonomous model for "alternative entrepreneurship" at Pramati, which also hosts Infinity, an annual innovation challenge. Nurturing exceptional talent is one of company's fundamental beliefs that Vijay believes has been essential to the company's long-term success in creating competitive global products.